We live in an adolescent, emotional world. Hyper-emotional, some would say. How else can you explain the acting out we see in ordinary circumstances, such as rude driving, rude gestures and rude language? It’s all around us. Emotional intelligence is described as the ability to understand relationships among the people around you, interpret emotional signals sent by others, control your own emotional state and motivate yourself. 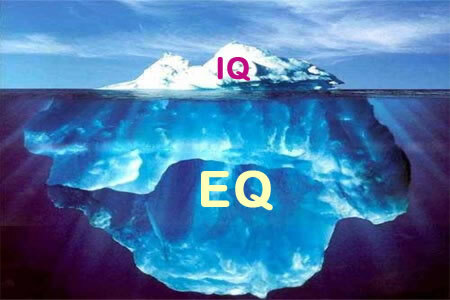 Not correlated with IQ, EQ is a better measure of one’s ability to function in the world. It signals leadership ability, sales ability, success in business, family, and love. The best salespeople have it. They’re able to read a prospect’s undercurrent emotions, they can empathize with the prospects' problems, uncover their pain. They also know how to control their own emotions, not get caught up in other people’s stuff, stay focused and maintain their equanimity. The best salespeople screen out the negativity around them, stay positive, creative and pro-active. How’s your emotional intelligence? Are your prospects using your own emotions against you or are you in control, empathizing without judging, engaging without manipulating, creating a safe place for you and your prospect to do business? Selling with integrity demands a high level of emotional intelligence. You can start by observing yourself and your emotional triggers. Self awareness is the first step to clarity.